Hei, tuulista tiistaipäivää! Ainakin täällä rannalla tuulee niin, että hatusta pitää pitää kiinni! Hauskat rantatytöt- kortit, leimasin Art Impressions ja Zig vesiväritussein väritettynä. Nämä ovat tilauskortteja, teksti aikuiselle naiselle sisäpuolella. Hi, hold your hats, it's a windy day here at the beach! 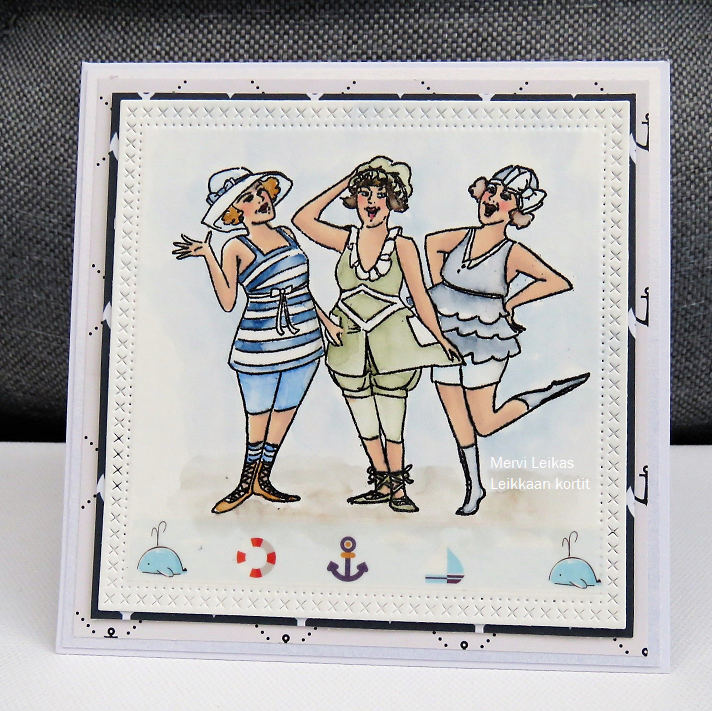 My cards today are lovely beach ladies, a stamp from Art Impressions. Colouring with Zig Clean Color Real Brush watercolour markers and water. I chose quite soft and blurred shades, tried to make some beachy background too. 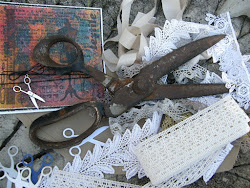 Diecut is from Swedish Hobby Crafts. Not any embellishments, only washi tape! 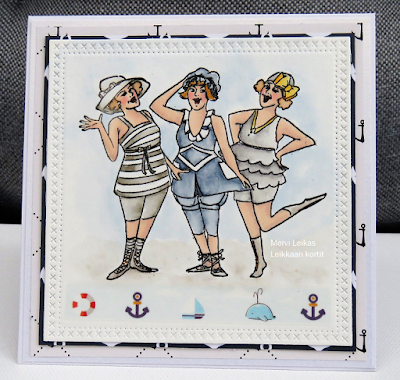 Such a fun card with cheerful ladies who are beautifully colored, and I really like the subtle colors added to make the sand, ocean and sky. Well done! 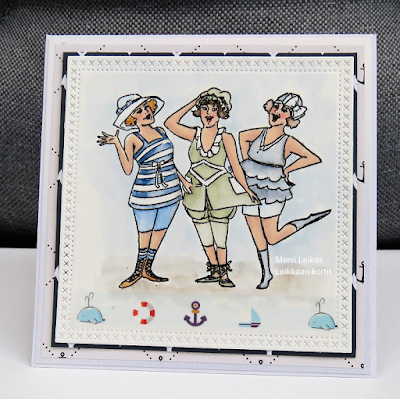 Such fun Vintage Ladies!! Thank you for joining us over at Art Impressions! 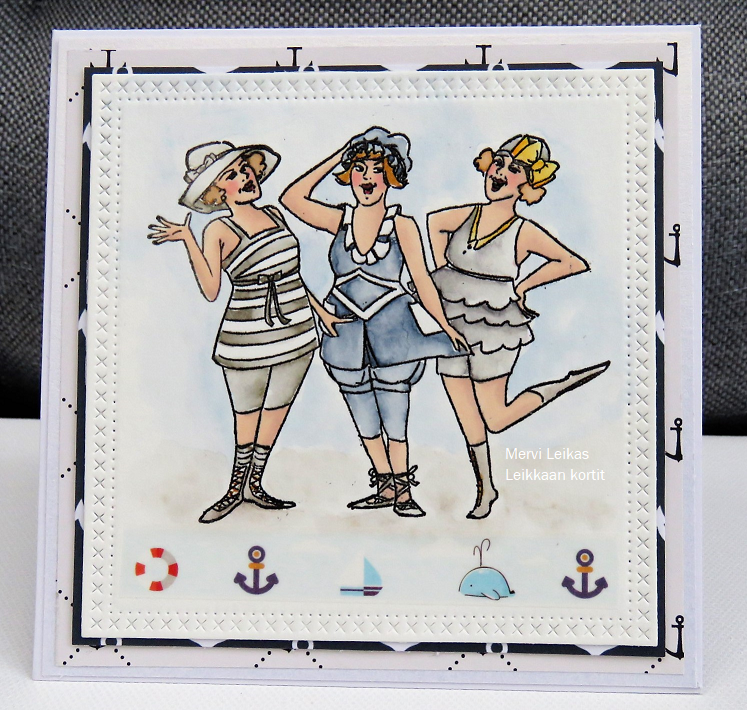 The washi tape looks great with the vintage image. Fun image and I love the cute icons at the bottom too. Thank you so much for joining in the Delicious Doodles Challenge this time. Hope to see you again! Apologies for the late comment. Life has been manic recently!